Running a Paint & Sip Studio? We are your technology-hangover cure! Simply put, we provide a complete and fully functional website solution for your Paint & Sip business. 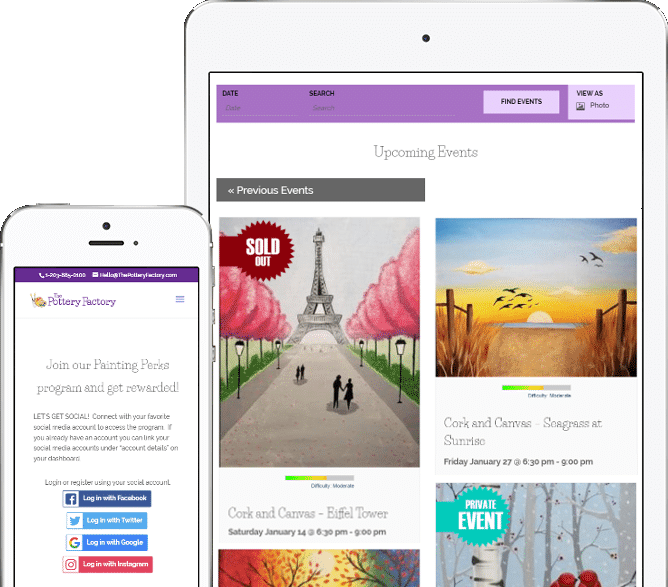 Easily manage all of your online operations from calendaring & bookings, payments, reward programs, coupons, gift cards, and our powerful automated Social Media Marketing tools. 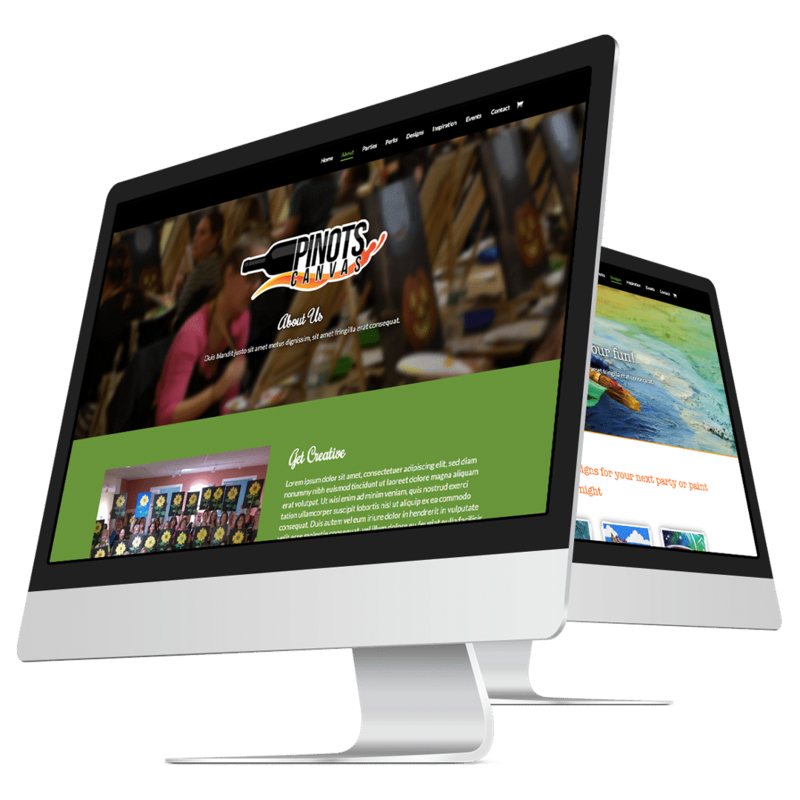 We provide a complete and fully functional website solution for your Paint & Sip business. We’ll have your sales growing online, guaranteed. Designed with all the features you need to dominate online, out-promote your competitors, create happy customers and grow your business. Your website will be easy to maintain. You post your events, manage promotions and your customers, not the technology. We take care of the technical heavy-lifting. No more Facebook Ad drudgery! Our completely automated, real-time, and highly targeted Facebook ad integration system will let you set it and forget it. Compete against the biggest franchise chains with our built in customer and marketing tools. Your feature-rich website will help you beat out your competition online; be it local or national chains. Manage your online events, promotions & party bookings. You have a professional web team always to help you. 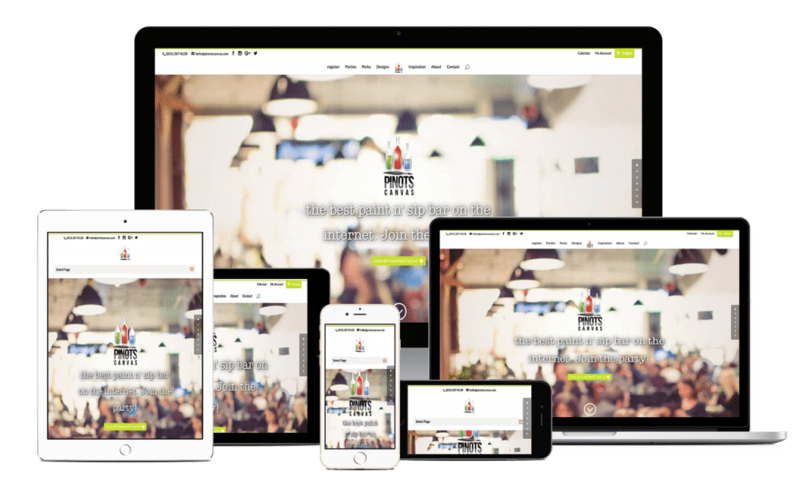 Your website will be Incredibly mobile friendly, working accross all devices. A customizable rewards program, gift cards and coupons are all built in. Integration with eMail, SMS, Facebook, Google, and other social media. Keep your traffic and customers 100% on YOUR website. Don’t settle for a third-party event services or an event marketplace. Highly protected, PCI compliant, and run from state-of-the-art data centers with 99.9% up time. Enhanced SEO event-publishing and local-SEO support. Full social and eMail marketing-integration tools too. Fully managed, 100% monitored, maintained and supported. Always. Need help? Just ask! Compare your site to ours. Try our demo. Tired of making Facebook ads? Supercharge your marketing on Facebook with targeted, automated ads! 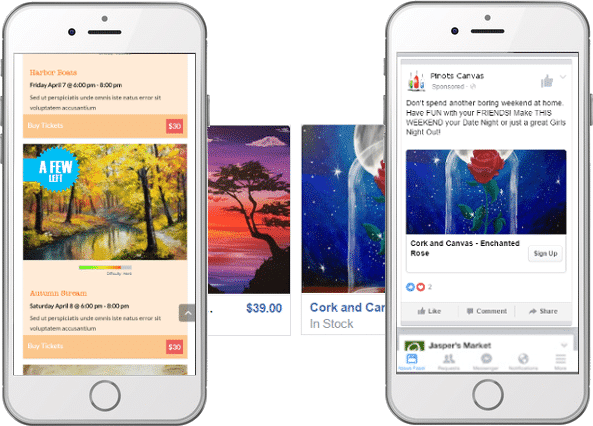 Automated dynamic Facebook Ads based on your events. Completely measurable, Facebook ads with your Facebook pixel fully intergrated into our eCommerce system. Instantly reward your customers through our rewards programs who share your events on Facebook. Let your customers book online from the devices they use. Don’t worry. It’s All Here. Kick the tires and try our online demo or simply arrange for a free consultation to find out how we can help.